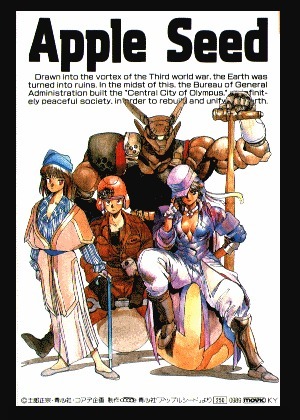 Want to set your game in the post-apocyliptic world of Masamune Shirow's Appleseed? Now you can! Everything you need to play the game right, including a detailed look at the Appleseed world, characters, technology and more! Written by Deric Bernier. 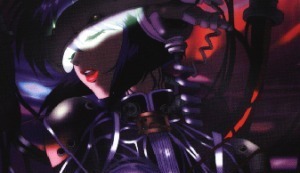 A massive sourcebook that includes everything you need to run a game in Masamune Shirow's world. Includes hard data on the setting, institutions, technology, firearms and vehicles of 2029! Written by Paul Minor. A simple page converting the various weapons, vehicles and technology the the worlds Shirow has created. Written by Deric Bernier. It's not much, but it will work for basics, I honestly forgot who wrote this, I found it in a dusty archive of old To-Do lists. If this is your sourcebook, please let me know and I will give the proper credits. owned by Deric "D" Bernier.